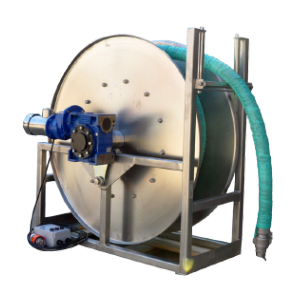 EZI-Deploy is a fully automatic hose declutching system to safely and effortlessly handle hose reels with minimal drag resistance. Reels with rewind motors are becoming more widely utilised, despite the ease of now having a motor rewind the reel for you, retrieving the hose and overcoming the added load of the motor is required great effort. Reel Tech™ has removed this problem by engineering a clutch to disengage the motor, and thus return your reel to Ezi-Deploy functionality. These clutches are capable to be remotely installed or factory fitted to help your reeling application. No levers, buttons, or electronics required. Just pull and go! 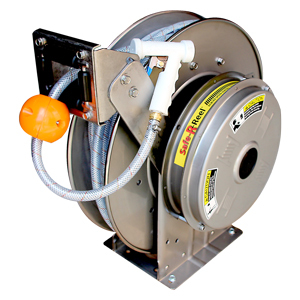 Handle your hose reel effortlessly with drag-free payout and easy rewind. 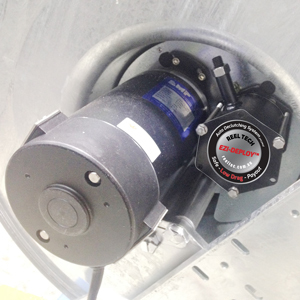 EZI-Deploy clutch systems offer smooth reel operation to minimise operator strain injuries and reduce excessive force that can prematurely damage equipment. Easily retrofittable to existing reels. EZI-Deploy is a critical add-on for longer hose lengths and larger 1”, 11/2” and 2” hoses. Upgrade to our latest technology that helps reduce injuries, downtime, hose wear and equipment damage.